UFC fighter Tyson Pedro seems wise beyond his years. 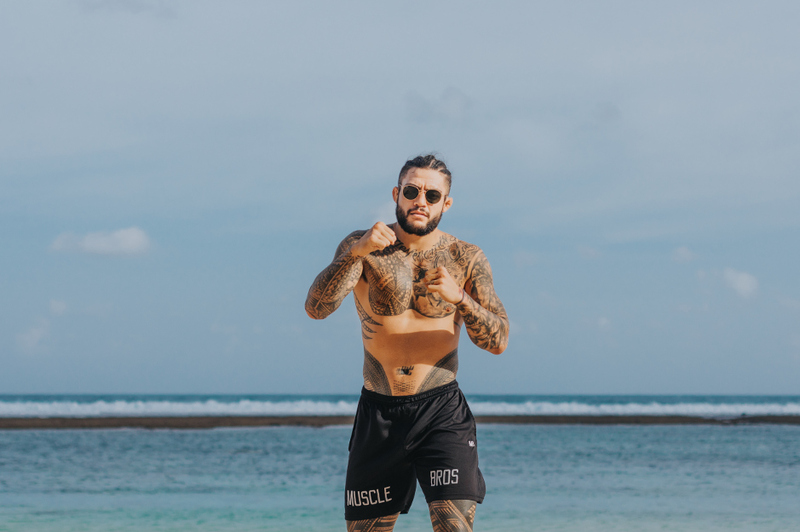 The 26-year-old mixed martial arts professional competes in the light heavyweight division of the UFC, the global fighting phenomenon which – like Karma Group – celebrates its 25th anniversary this year. Perhaps it’s the discipline derived from a lifetime of martial arts training – Pedro holds black belts in both Japanese Jiu-Jitsu and Kempo as well as a brown belt in Brazilian Jiu-Jitsu – yet given that he’s just arrived at Karma Kandara in Bali less than 24-hours after a major bout against fellow light heavyweight Ovince Saint Pruex, we can’t help but be impressed by his uber-relaxed attitude. Hectic indeed. Young for his division as the average age of his fellow competitors is just over 32 years, Pedro has racked up an impressive seven wins from nine bouts. He says part of his recipe for success is finding ways to switch off. This might include spending time with friends away from the hustle and bustle, which is one of the reasons he’s chosen Karma Kandara’s clifftop digs over the overrun tourist haunts of Kuta and Seminyak, and even playing the occasional video game. Even in the midst of taking a well-earned rest, Pedro took time earlier in the day to visit kids at the Bali Life Foundation, a charity supported by Karma providing education as well as basic needs to Bali’s underprivileged women and children. During the visit, Pedro gave away sets of gloves to the kids and taught the budding future UFC champions some MMA basics. Pedro says it’s all about positivity and drawing positive people in around you. The Fat & Thin of Staying Healthy in South East Asia.